Amy began working in the lending industry in 2001 on the consumer lending side of Bronco FCU. Her passion was in the real estate business, so in 2004 she obtained her real estate license. In 2013, she transitioned to the position of Mortgage Loan Originator. Having the knowledge and experience of all sides of a real estate deal are a huge asset to having Amy as your originator. She has helped borrowers from all walks of life—from families just starting out, to young people moving out on their own for the first time, to empty nesters looking for their second dream home. Amy guides her buyers through the lending process and prides herself in being available to her members no matter the time of day. She takes such pride in going the extra mile by educating her borrowers on all their mortgage options and making the dream of homeownership a reality. Amy is known for not giving up when it comes to getting borrowers qualified for a mortgage. Whether it's building credit or repairing past obstacles, here's Amy's philosophy: "I have worked with borrowers for over a year before, but guess what, they became homeowners! Your past doesn't always dictate your future and sometimes members just need a little guidance to get back on track. My goal is to find a way, and if I see you making the effort, I will be right by your side." Amy is married to Robby, and they have two wonderful daughters who keep them pretty busy. Skiler is 17 and Katelynn is 16. “Proud” is an understatement as to what she feels when it comes to her girls. "Being able to make an impact in young people’s lives is such a passion and gaining lasting relationships with these young ladies is something I hold so dear to my heart." Besides being dedicated to her children, she is also the Varsity Cheerleading coach at Franklin High School, and has been for 7 years now. Amy also serves on the Board at James L Camp, Jr. family YMCA. Recently my mother and I acquired a loan through Lenders Select. Amy Cutchins, the Mortgage Loan Originator at Bronco Federal Credit Union, was extremely helpful and knowledgeable in guiding us through the process of home ownership. Her professionalism and expertise in obtaining a mortgage loan resulted in a stress-free experience. Would highly recommend Amy Cutchins to anyone looking to secure a home mortgage loan. We were in need of assistance as it related to our mortgage interest rate. When we went to Bronco Federal Credit Union, we were introduced to Amy Cutchins. Amy was extremely knowledgeable and explained all of the information to us in a language we could understand. We felt comfortable with her and based on her performance we decided to proceed with the option Bronco had to offer. Amy’s customer service and attention to detail were great. 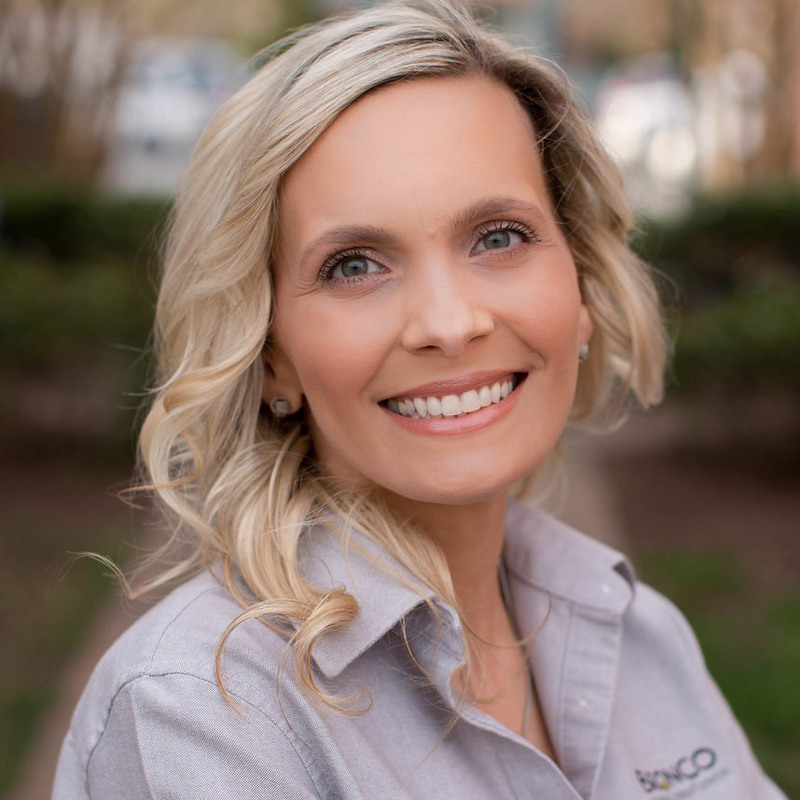 We loved working with her and she is definitely a valuable asset to Bronco Federal Credit Union.